An ode to white. 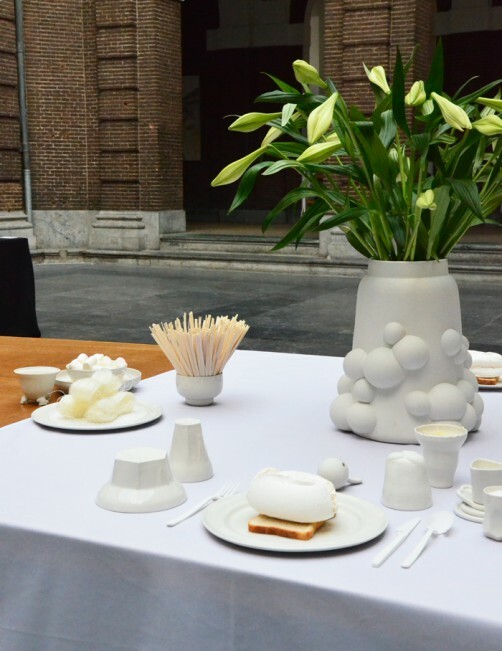 99% of all tableware is white. It is the most neutral color on which food can be nicely presented. 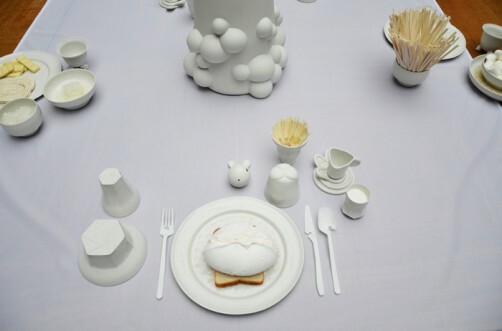 Our brains tell us that our food tastes the best on a white surface. But white has also much symbolic meanings. Hope, death, innocence. 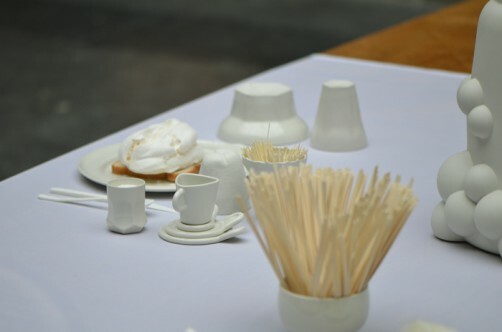 For the exhibition Lust voor het oog we made an installation about white. 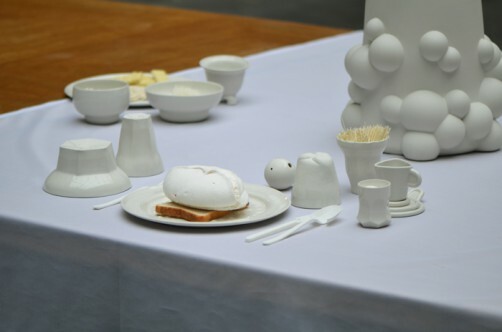 We used all kinds of symbolic white food, like white bread, white rice. 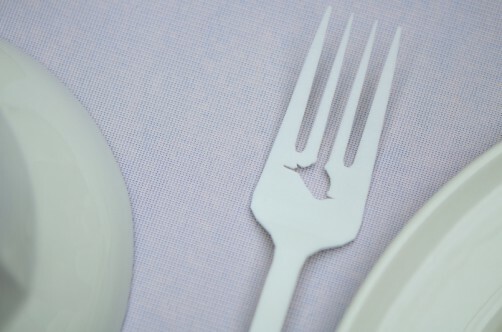 A white flag we used as tablecloth. besides the white table, we installed an other table with bright colors. 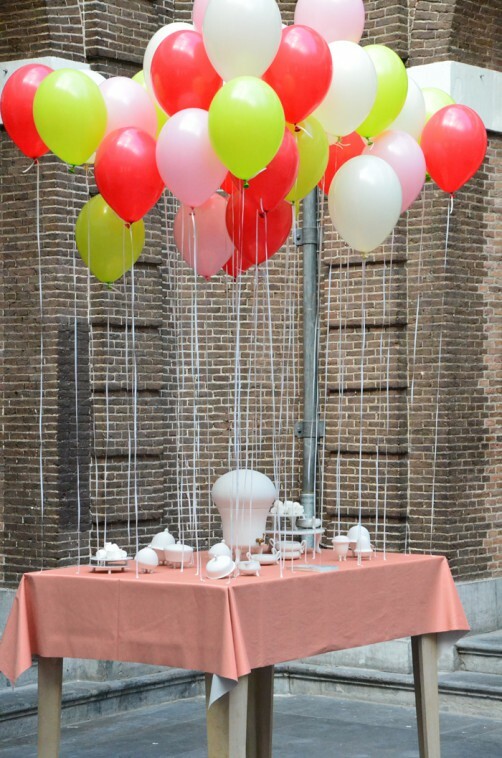 Floating balloons were endorsed to a table. It almost looked like the table was lifted up in the air. Giving the table a very much fairytale atmosphere.